There is something very satisfying about launching and flying something you designed and built yourself. Must be the reason why paper planes are still popular. (I know a five-year-old who has been banned from so much as folding a napkin.) But this is 2015, so your modern paper plane – the PowerUp 3.0 – has a motor and an app (of course it does, there is an app for everything). The PowerUp 3.0 kit consists of a motorised propeller and tail rudder. You simply attach this to any paper plane you have (lovingly) folded. Flying and controlling the PowerUp 3.0 is as simple as downloading the app and getting it paired up. You turn the plane by tipping the phone left or right, which activates the small tail rudder, and you simply increase/ decrease the throttle to climb or dive. If you folded countless paper planes as a kid (and want your kid to have the same fun) then the PowerUp 3.0 might be worth checking out. It costs US$49.99. Just make sure you give them a turn – remember, sharing is caring. 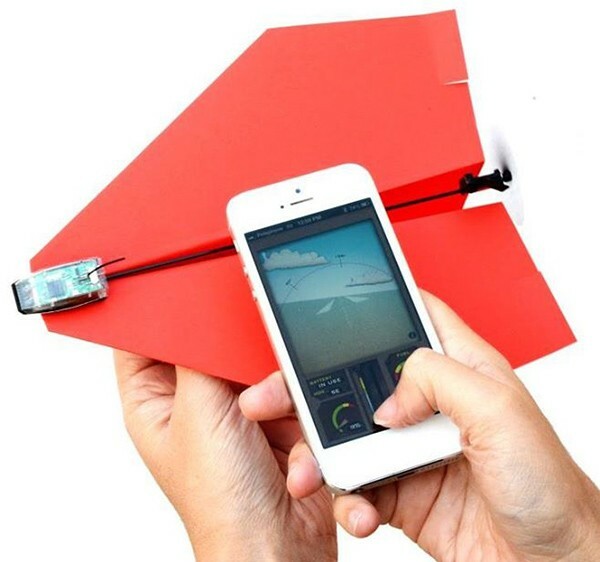 You can buy your own motorised paper plane kit direct from PowerUp and shipping to Australia is available. And if that’s not cool enough for you, hold tight for another month because a paper drone with live streaming camera is coming soon.